As I said above, this look used a handful of shades from the Julep Boudoir Collection... 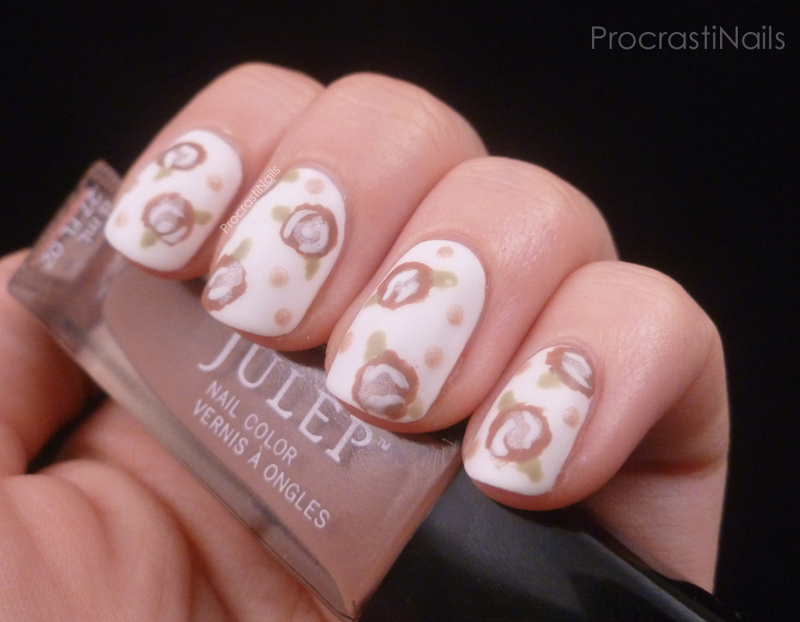 The base was Julep Hope, and the body of the roses was Julep Annemarie. If you have questions about the others you can always check out my original swatches to match them, or send me a message to ask. 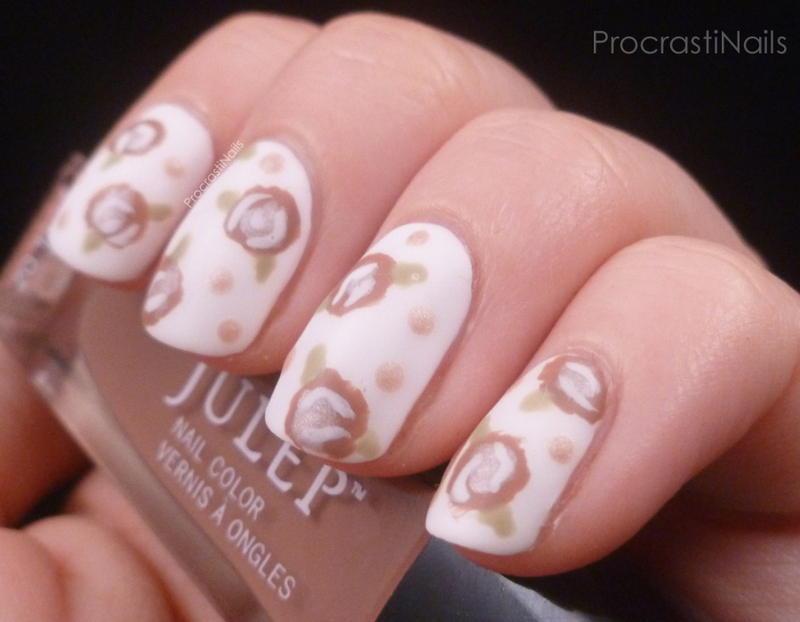 :) All of the shades I used had silk or satin finishes (aka they were matte) so that gives this design a different look! 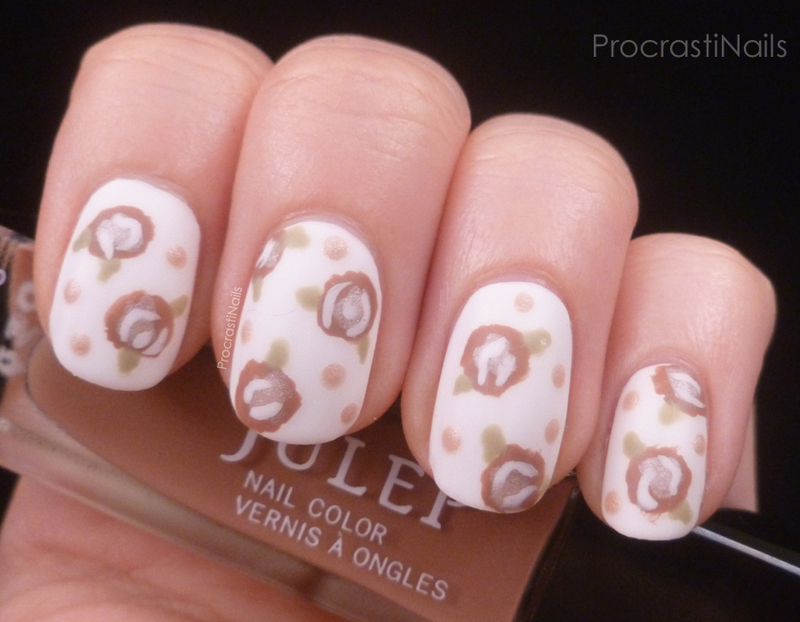 I love your roses manis! Pretty roses! It looks very nice.